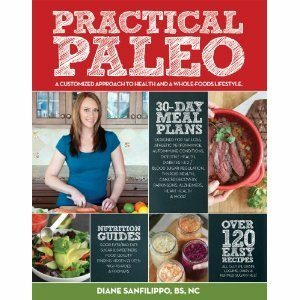 I was ecstatic to receive an advanced copy of Practical Paleo and was completely unprepared for how HUGE this book was and how much information it contains! Diane Sanfilippo did an amazing job of organizing all the information in a very easy to read and understand format. This 400+ page book is actually an easy and fun read. 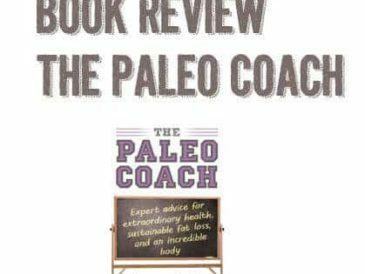 The first section of Practical Paleo is an easy to understand guide of the Paleo way of eating and why certain foods can be harmful. Diane breaks the science down into easy to understand sections. This part would be wonderful for any friends or family members who don’t understand or agree with your way of eating to read! 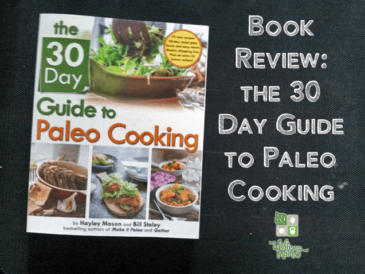 It’s also a comprehensive intro for anyone starting the paleo way of eating. The second section of Practical Paleo has meal suggestions for all of the above conditions in an easy to read and use format. 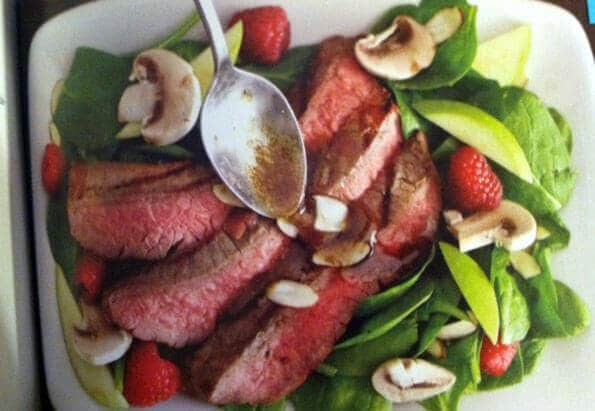 The final section of Practical Paleo has over 120 paleo recipes. My favorites so far were the cauliflower hummus and the chicken liver pate (which I’ll be posting my review of separately soon). There are also a lot of great salad recipes which are a summer favorite at our house. 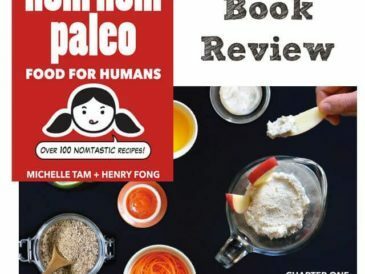 At the very end of the book are some great quick reference pull out guides on healthy foods, best choices for fats/oils, stocking the pantry, vegetable sources of healthy carbs and more. Overall, I’d highly recommend Practical Paleo. As its name suggests, it is a great practical and applied guide to eating and living the healthiest way for your body. 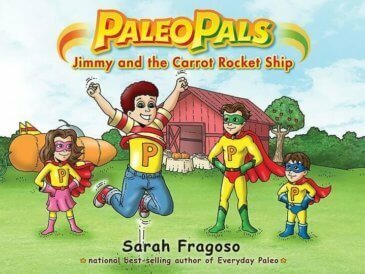 It contains a plethora of great information and is more like a Paleo encyclopedia than a regular book! 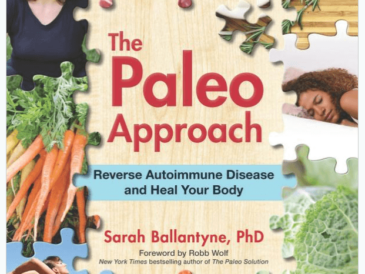 You can’t actually get a physical copy of Practical Paleo just yet, but it ships on August 7th and it is available for pre-order so you can make sure you get a copy. It also has a special pre-order price of almost half off the cover price… click here to reserve your copy. Also, check out Diane’s great blog Balanced Bites. 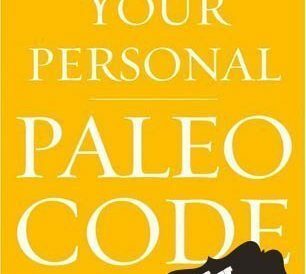 Have you Practical Paleo? What did you think? Share below!